If you run a church or nonprofit organization, then you know how vital it is to share your mission with your community to make an impact. However, you may often find that you have excellent church marketing ideas, but due to limited budgets, you are not able to execute your plans and achieve your goals. The same is true for nonprofit marketing strategies at all levels- limited budgets can undermine the effect that organizations have on their communities. Well, just know that even on a tight budget you can have an enormous impact on your community if you use the best church marketing tools. If you are a leader in your church or nonprofit organization and you are struggling to find the right tools to help your outreach efforts that won’t break the bank, then this list is for you! Here you will find the top free online marketing tools that you can use for your church marketing strategy. 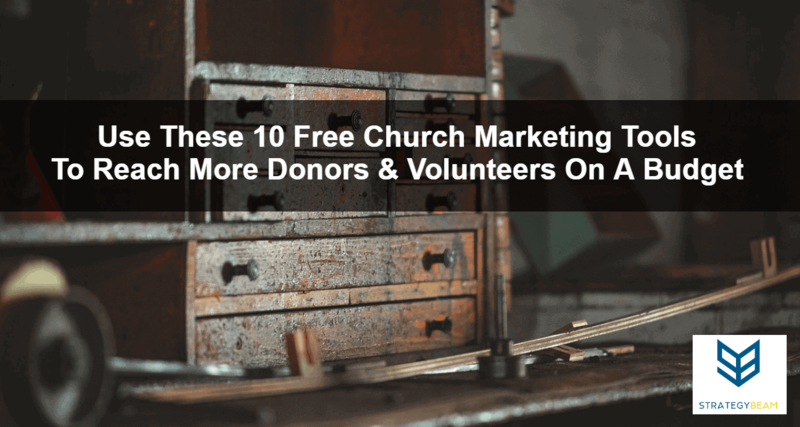 You can use these tools to help with your church marketing or nonprofit marketing efforts today! 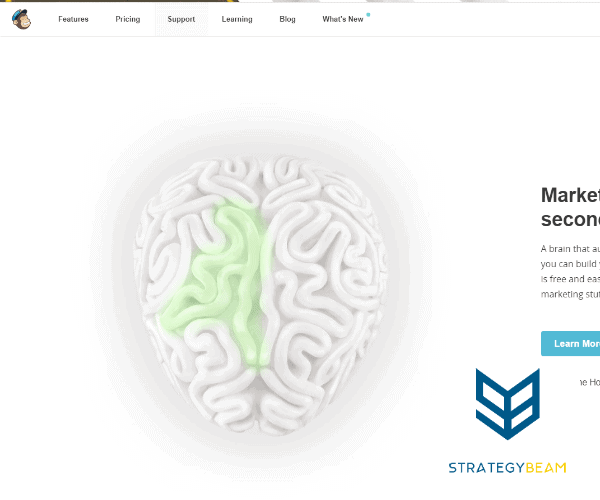 Experiment Board by Javelin is a useful tool that helps guide you through the process to validate ideas through experimentation. 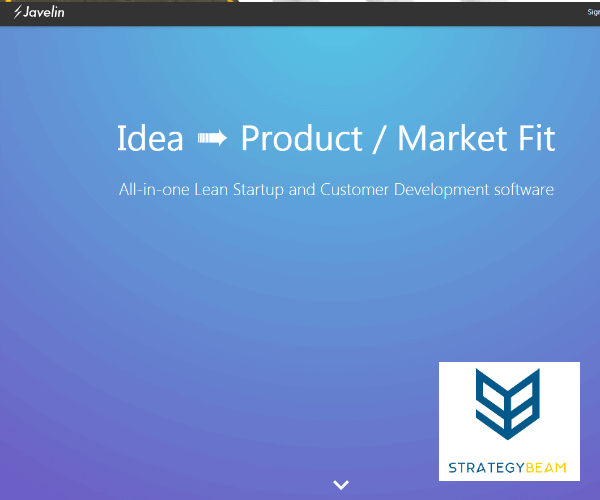 This means that you can quickly and easily approve an idea or new project without having to risk investing lost time and money into the creation process. Aside from being free, another beautiful thing about this tool is that it’s straightforward to understand, allowing you jump right in and get started. Since it was made for teams, Experiment Board is also fun, engaging, and can help your team come together to achieve your goals faster. It functions as a visual board where you’ll be able to turn your ideas into experiments by defining the hypothesis. The entire experience consists of a client, problem, solution; identification of the riskiest assumption test, determining experimentation methods to succeed, and collection of data that can be quite useful for your campaign. While that may all sound overwhelming, putting the time in before you launch a program or new initiative can help save you time and money in the long run. Check out Experiment Board if your church marketing team needs to think through a new initiative today! Your church depends on excellent communication- whether that be through email, social media, or blog posts about recent events. Since your donors and volunteers look to you as leaders, you need to take every effort to establish yourself as trustworthy. This means that you need to have content that is free of simple grammatical and spelling errors. 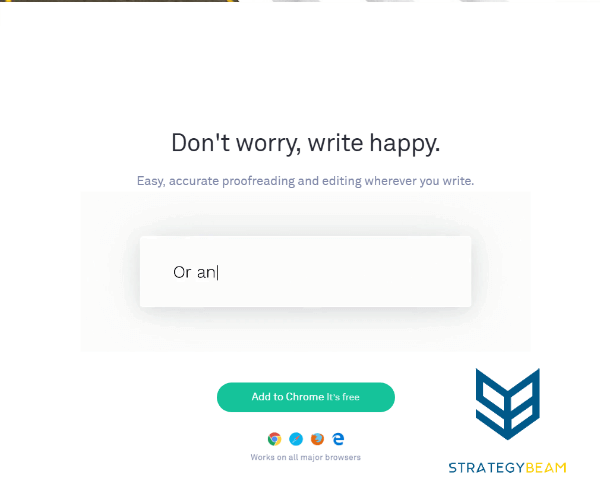 With the help of Grammarly, you can have the confidence that the emails you send are professionally made– it is an excellent automated proofreader and grammar coach in one. This means that your church marketing team will produce great content that your audience will love and engage with. Not just that, with this program, you can also improve your word choice through context-optimized vocabulary suggestions. This means that you can spend more time focusing on the mission of your church or nonprofit and less time worrying about simple grammatical errors in your marketing content that can undermine your efforts. No matter the size or age of your church, your church needs a high-quality website that will help you achieve your mission and spread the word about your passion. For those with a limited budget, setting up a WordPress website is one of the best ways to ensure that your church marketing strategy is a success with a robust online presence and you can drive the marketing efforts of your nonprofit organization. Since you can create content easily with WordPress, you can focus less on coding and more on writing great website content for your church that gets results. With a church website created in WordPress, you’ll get the information you need to create your site, and the beautiful thing about this platform is that you don’t have to worry about paying anything at all. Additionally, WP is easy to learn and navigate as compared to other content management systems available in the market. 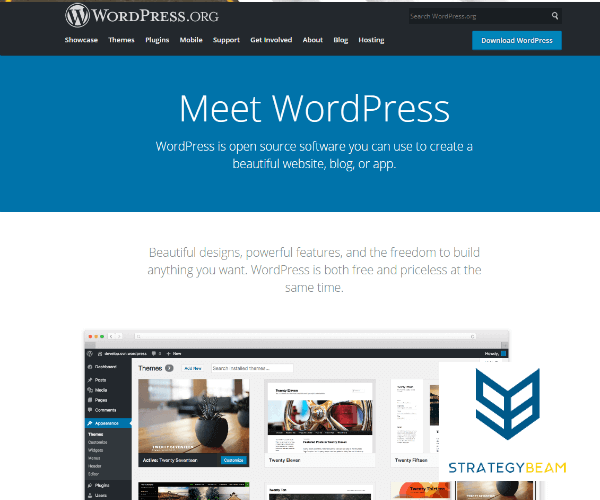 They have thousands of themes to choose from to make your site beautiful, and the plugins would allow your site to integrate useful and powerful features quickly. However, that’s not all; there’s also a huge community that produces documentation, support, and code that would allow you to create the best site imaginable. For those who are just getting started with their church marketing, or is looking for an effective way on how to reach more donors then this would be the perfect time to have a nonprofit editorial calendar. An editorial calendar will help your church communication reach new heights, and a free online marketing tool for churches like Content Calendar can help you achieve your goals. A free tool like Content Calendar can not only help you organize your church marketing team, it can also impact your SEO marketing strategy and help you rank higher on Google. This will help you boost donations and volunteers! 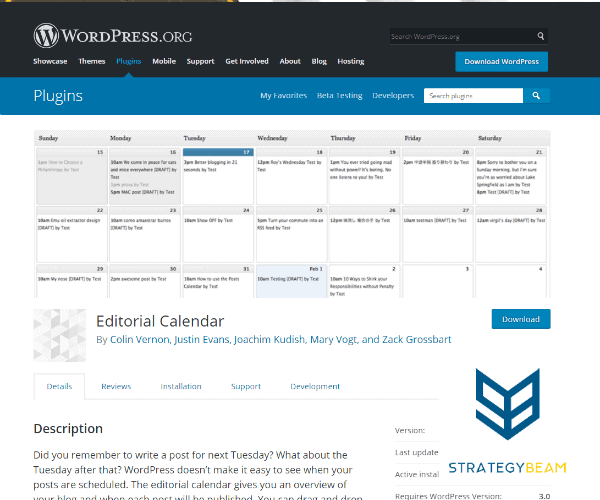 With an editorial calendar, planning the blog content doesn’t have to be as complicated as you might think of. In fact, it could make things simpler and more flexible especially if your church relies on volunteers to produce and publish content. Those who have utilized this have already experienced significant results. Instead of worrying about if you will think of content the day that you need it, a content calendar will help you plan and align your church marketing message with the events that you are already doing! With a content calendar for your church, you’ll be able to create a planning document that outlines a series of communications according to timing, author, and other variables that would give you the idea how pieces are made and shared. Additionally, when creating a blog, a strategic document that lists all the upcoming topic related to the organization is essential. 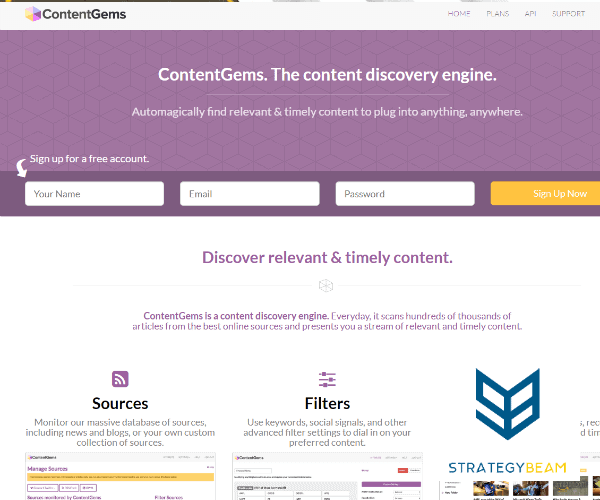 Content Gems is a content curation site where you can discover and share highly relevant content with your target audience. Since your church marketing strategy depend on fostering an active community to grow your donor and volunteer base, then you need to ensure that you have a constant stream of content for your social media pages. If you struggle to post information about your church, then a free online marketing tool like Content Gems could be the thing you are looking for. This free church marketing tool is perfect for staying on top of material pertinent to your cause, and you’ll also be able to promote organizational thought leadership as well. Through curation of content in your nonprofit niche, you’ll be able to gain not only new followers but supporters as well. 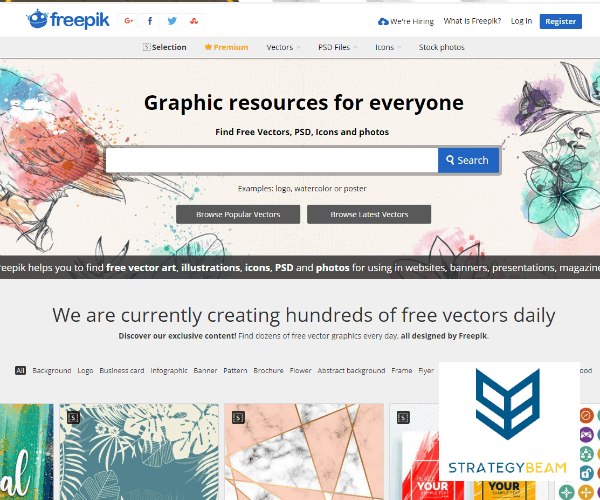 There’s a lot of high-quality graphic designs that you can get from Freepik, and this includes exclusive illustrations that were carefully picked by their highly skilled design team with the purpose of providing users with remarkable content perfect for both commercial and personal use. If you want your church marketing to get to a new level, then you need to ensure that the visuals you use are high-quality and memorable. Since you rely on volunteers for your nonprofit marketing strategies, you can use a tool like Freepik to bridge the gap between your charitable needs and volunteer talent. For churches and nonprofit organizations, Freepik is a free online marketing tool where you can choose photos and graphics perfect for your project. It’s straightforward to use, and you wouldn’t have to pay for anything at all. Churches usually have a very limited marketing budget, and for that reason, they should be as resourceful as possible. 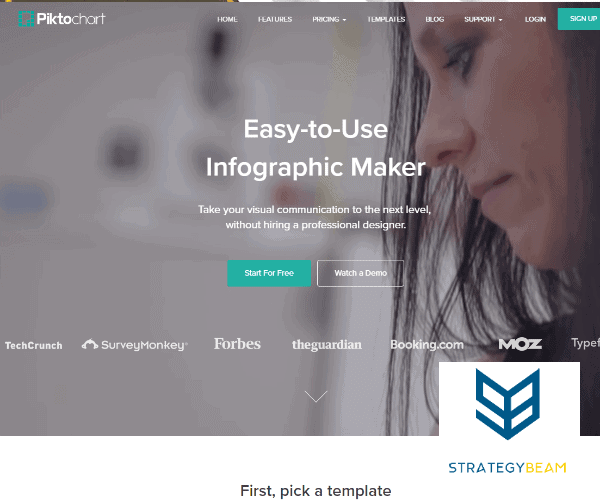 Although there are other design solutions worth considering, such as Adobe, Piktochart is still supposed to be the best because it’s free to use and can accomplish most of the tasks your church marketing strategy will require. With Piktochart, you’ll be able to create visual content that will help you drive donation campaigns and raise awareness about your mission through professional nonprofit marketing content. It doesn’t matter if you’re planning to encourage supporters to take action, to share the impact of your organization, or deepen connection, rest assured that the use of the right images will make that happen. As the saying goes, a picture is worth a thousand words. If your nonprofit is looking for a great visual editor at a great cost (free), then you should check out Pixlr today. 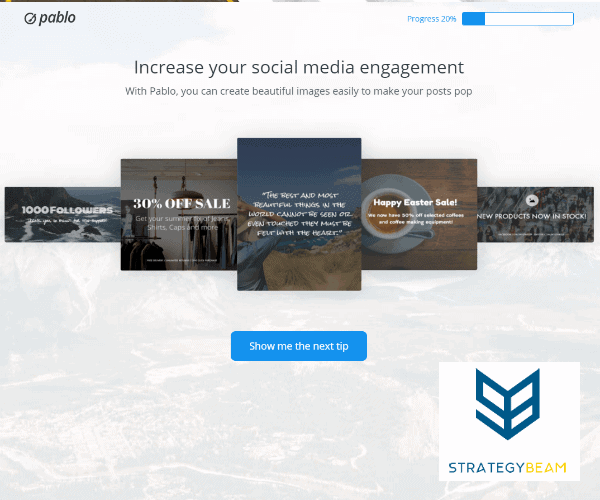 This visual editing tool is the perfect addition to any church marketing team and is one of the best free online marketing tools that your nonprofit can integrate today. Let’s all be honest with ourselves, creating images for social media is not a walk on the park, this holds true especially if you don’t have a background in Photoshop. Having the wrong size or shape of an image on your social media accounts can undermine the hard work that you put into your church marketing strategy. This can also generate negative responses towards your church marketing efforts. Fortunately, Pablo makes it easier to create graphics on the go. Through this app, you’ll be able to create social media images in less than 30 seconds, because their database contains hundreds of royalty-free stock images ready to be used. Email marketing is still one of the most crucial church marketing strategies available to your organization. Not only does this marketing channel allow you to speak directly to your audience, but you are also able to craft a tailor-made message to send to people who opt-in to your mission and purpose. That means more donations and more volunteers. However, with so many Email Sending Programs out there, how can your nonprofit or church marketing team choose the best solution? For those who are just getting started with email marketing, or would want to use something that’s almost free of charge, MailChimp is worth considering. Through this, you’ll be able to send regular emails to your donors, volunteers, and subscribers. 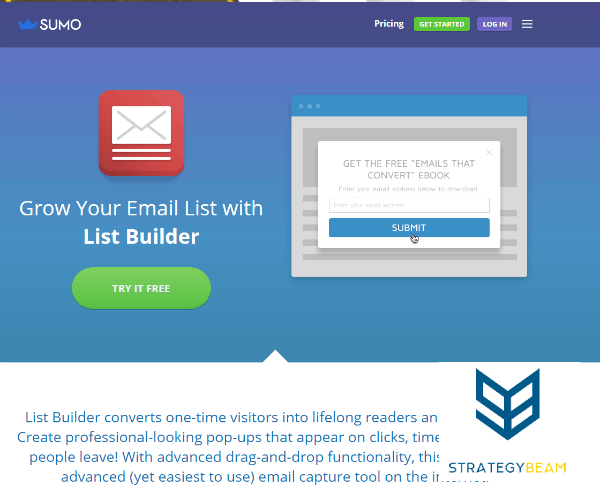 To convert your website visitors to possible donors and volunteers, you have to consider using a list builder, and Sumo List Builder is one of the free apps that you can try. Through this, you’ll be able to come up with professional-looking pop-ups that you can see on timers, clicks, and before your visitor leaves. Not just that, they also come with a drag-and-drop feature that’s very easy to use. If you want to grow your online presence, reach your community, and achieve your goals then you need to take every opportunity to make your church marketing as efficient as possible. Use the above tools today if you want to drive more donors and recruit more volunteers without breaking the bank. For a full list of free online marketing tools that you can use to ramp up your church marketing strategy then check out our free list of over 160 free online marketing tools that you can use today!